This is a question that patients often ask. Saying ‘I should have come sooner, shouldn’t I?’ or ‘Is it too early to start treatment now?’ Hopefully, this quick guide will help you decide. Sudden pain can happen for any reason; lifting a heavy object, moving too fast in a Zumba class, waking up in with acute pain. Often the management of this pain from this point determines the length of time it remains. This is often the time when seeing the physiotherapist early is key to both savings you time, pain and money. The key elements here are the correct diagnosis, protection of the area from further damage, early restorative movement, reduction of inflammation and progressive return to function through graded strengthening. A key example seen many times in clinic is when somebody thinks they have just excessively tightened in their hamstring (when in fact they have torn it). They start by regularly doing static stretches to ease out the tension in the muscle but what they actually end up doing is breaking the bonds that are forming to bridge the gap in the torn muscle and potentially making the tear worse and the muscle weaker! Some pain comes on overtime and/or by repetitive movements or posture. It may get worse by the end of the week when you’ve been sitting all day or come on at the end of a run. If the frequency or intensity of this pain gets more, then it could be highlighting a deterioration in muscle or ligament tissue or a decrease in stability around the area. 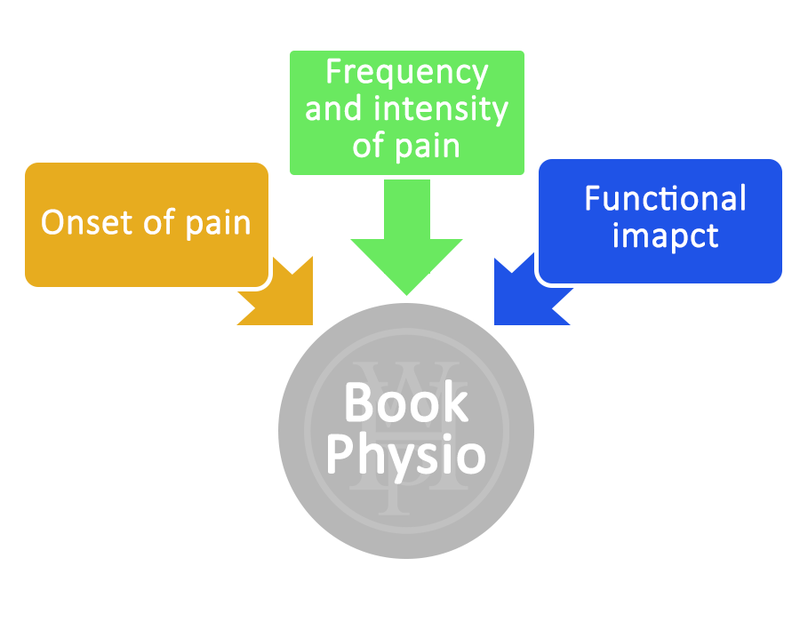 An assessment by one of our physiotherapists could diagnose both the cause of the pain and the instability or imbalance leading to the pain. This is essential to unloading the area before you end up with a complete breakdown of the structure which may result in disc bulges, ligament rupture or muscle strains. All pain is subjective and everybody’s life moves at a different pace with different priorities. The simple answer to when to see a physio in this instance is; if the pain is stopping you from working or enjoying time with your kids or stopping you from unwinding in the gym or on the playing fields, then prioritise your recovery and start living fully again!